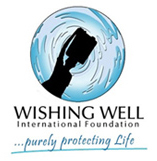 Thank you for your involvement with Wishing Well International Foundation. Your sponsorship enables our organization to partner with other organizations to fulfill our mission; providing clean, safe drinking water in developing areas around the world. It’s exciting to us when big and small companies catch the vision for this worthy cause and join us to expand the good work. Please provide the following information to begin the sponsorship process. Make checks payable to Wishing Well International Foundation. Please select the Sponsorship Level that you are interested and we will contact you with all the information needed.